Big thanks to Mango Seven for all the information in the video above. 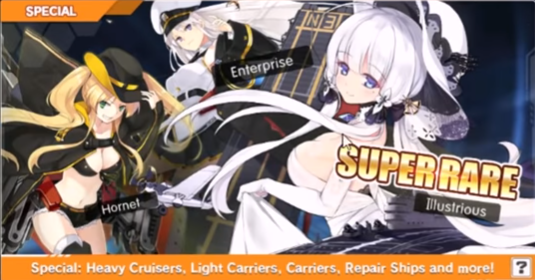 Azur Lane is about “Ship Girls” and is a gatcha game full of different ships you can get. It’s a game with a lot of cosmetic and character collector goodies and can be done completely free to play. So, the first thing you’re going to do in the game involves picking between Javelin, D-23, and Laffy. And honestly, it doesn’t really matter which one you pick so pick the one you like the most. You’ll get them all eventually so it’s no problem in the long run. 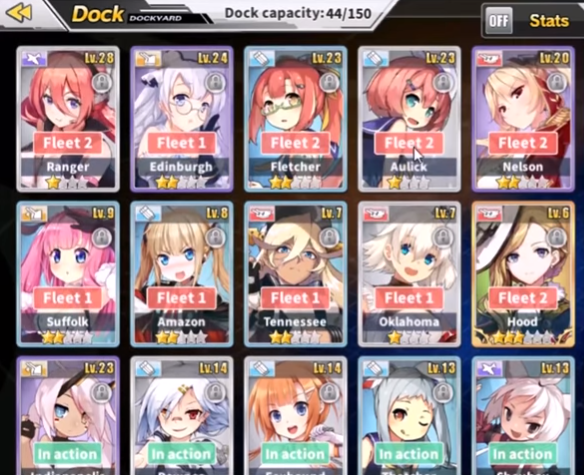 Next up is the Ship Girls and there are a couple ways to do this. There is a lock box by every single ship and most of them come locked but some you have to do manually. Be sure to do this on the ones you don’t want to end up getting rid of at any point. The characters are ranked by rarity with Common being the base rarity. You can get rid of Commons by feeding them to stronger characters to Enhance them. That is one way to get rid of your ships if your roster is to full. There is another method to get rid of ships as well and that’s Retiring them. When you retire ships you lose them but they give you medals in return. 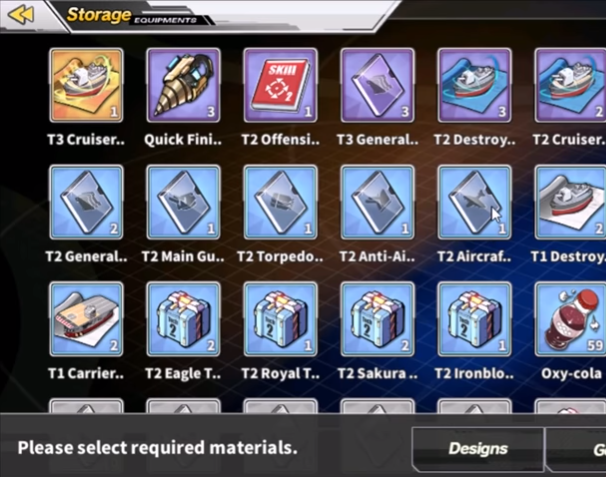 Rare ships give you one medal, purples give four, and gold gives ten medals. 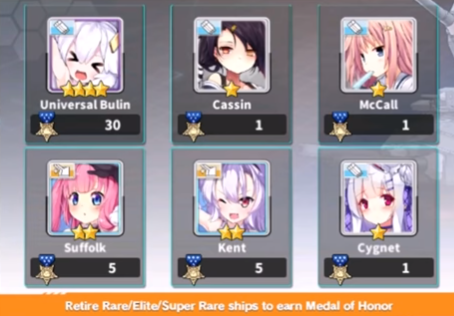 With Medals, you can get other ships with them and some of the rarest ones in the game as well. Next up is the shop and this first thing you wanna do here is tap the shop keeper. After so many taps a quest will pop up and you’ll want to follow this quest. You get a ton of rewards from her quests so be sure to always do them. Speaking of quests there is a button labeled “Easy Rookie” on the main screen. It takes you to do a list of quests you can do and each one gives its own reward. One of the rewards is a weapon which falls into the equipment you can use on your ships. In equipment, there are four different kinds of boxes which range in colors from White, Blue, Purple, and Gold. You never want to open anything below Purple and what you want to do is collect five of them because you can craft them into the next Tier above them. So five blue boxes can be crafted into one Purple and five Purple can be crafted into one Gold. Next up is talking about the units. Oil cost is your stamina in this game and it’s hard to run out in this game but it never hurts to be efficient. Each unit has a base cost that lets you put them in your team and you can’t exceed the cost limit with the units you use. Within the units themselves, they each have their own stats and abilities that you can play within their character screens. The Limit Break screen is basically used for unlocking the level cap. You do not want to do this on a unit until you’ve reached the first level cap, however. 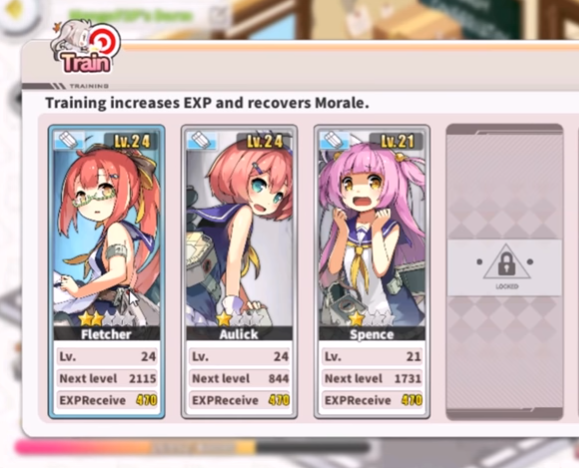 Another thing you can do is upgrading a units gear. It’s as simple as equipping whatever you have that is the highest rarity and level it up as much as you can. A small detail to remember outside of equipment is doing your dailies. Be sure to do these every day so you can utilize the rewards they give you. Next is what you should be spending your gems on. 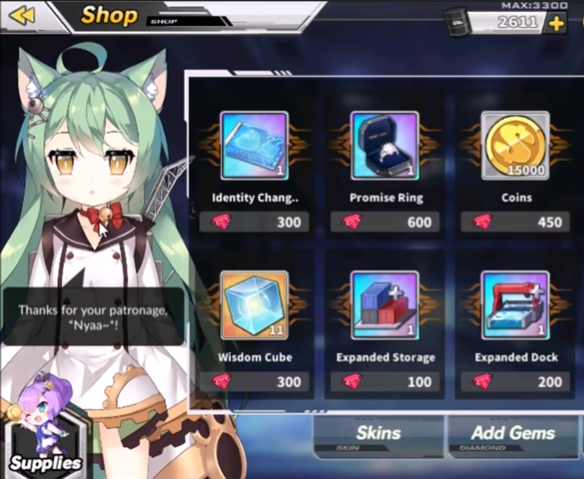 If you click Dorm on the main screen it is the most important thing to spend your gems on. You should get four Dorm spots no matter what. The Dorm gives XP to your Units as long as Morale which effects your units and the marrying function for them. Also, your gems are super important because there are very few gems in the game. You can build most everything but gems are very scarce in the game. So keep in mind, it is much better to use your money on the glamour side of the game with the cosmetics. It doesn’t really pay off in the long using money for summons or power. In the Dorm, you can put up decorations that affect your ships Comfort levels. This helps with their happiness and comfort levels. Next up is the academy. 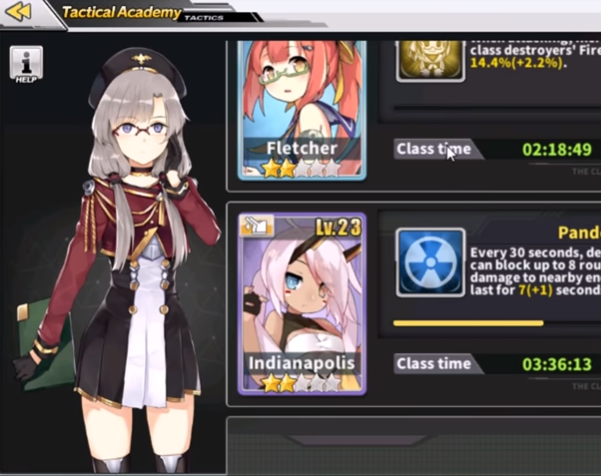 In the Tactical Classroom, you can train your ships skills which are based around different colored books and skill abilities. The books are colored from Red, Blue, and Green. You can have up to three spots in the Academy but you need to buy the third spot which you should do after getting your four Dorm slots. When it comes to leveling you ships outside of the Academy you can do Commissions. They’re special timed quests that usually cost a lot of Oil but makes it very easy to level up lower level ships. Now, let’s talk about Building which is the summoning method in this game. Like most gatcha games you use gems to buy summons from different character banners. When it comes to summoning you should always focus on the best units out at the time. Sometimes there are special units that only show up for limited times. So only use your summons when there is a limited banner. Those are the most valuable banners you can get in the game.